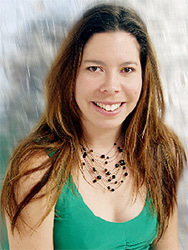 Tracey Deer attended Dartmouth College, in New Hampshire, graduating with a degree in film studies. She began her professional career with CanWest Broadcasting in Montreal, and later joined Rezolution Pictures to co-direct One More River: The Deal that Split the Cree, with Neil Diamond (Cree), which won the Best Documentary Award at the 2005 Rendez-vous du cinema québécois in Montreal and was nominated for Best Social/Political Documentary at the Geminis. Her work has won acclaim from multiple film festivals, including Hot Docs and DOXA. She has worked with the CBC, the NFB, and numerous independent production companies throughout Canada. “Tracey represents the next wave of Native filmmaking” said Adam Symansky, NFB producer of Mohawk Girls and Club Native. She wrote, directed the series Mohawk Girls, about the lives of teenagers growing up in Kahnawake. It was an extension, yet almost completely different, from the 2005 documentary with the same title.